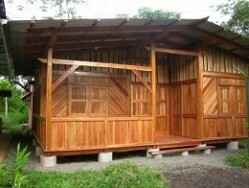 The Mastate Charitable Foundation (MCF) is located in the rural community of Mastatal, Costa Rica. MCF was founded in 2004 to advance benevolent, educational, sustainable and scientific efforts in challenged areas in and around the Mastatal community and La Cangreja National Park. Mastatal is approximately a two and a half hour drive from San José. It is a rural community based on subsistence agriculture and has been preserved and protected largely by the demanding topography of its region. In some ways visiting Mastatal is like stepping back in time. Events happen slowly, thoughtfully, with a bit of planning and as the locals say, thanks to luck or God. On the other hand, progress marches on in Mastatal. It now boasts a road that is passable year-round, electricity in most homes, clean public water, and the La Cangreja National Park in its backyard with its stunning, mostly intact rainforest. To date, the relatively poor community has been able to avoid many of the pitfalls that often times result from growth. And like most humans, Mastataleños (residents of Mastatal) want their quality of life to continue improving. Local community members can choose one of many paths in their continuing quest to better their home. MCF, along with it’s projects, strive to empower them to make good choices on how best to move forward to make their village a better, more sustainable place in which to work, play and raise their families. The time to act is now. As Mastatal gets “put on the map” with the elevation of La Cangreja’s status to a national park and the increasing realization around the country and world what a true gem Mastatal is, it’s environment and social structure is challenged and put at greater risk. 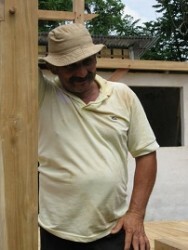 Since 2004, MCF has funded a number of community improvement projects including debt reduction for the town government, helped to build and beautify the community center, renovated the secondary school, helped to build new roofs, installed solar electric systems, methane biodigesters, rocket stoves and other structures in the Mastatal community. In addition, MCF has sponsored career scholarships and opportunities for local youth and adults, yearly community medical clinics, spay and neuter clinics, a local beekeepers co-op, local sports and public safety. The Community Learning and Sharing Center (CLSC) is MCF’s most ambitious project to date. Starting in 2010, MCF has coordinated the construction of a naturally-built CLSC in the center of Mastatal. The structure was erected using local labor and resources. It will eventually be home to scores of Spanish books and space where local entrepreneurs can operate small businesses. MCF envisions this location to become the social center of town and a place that all community members can be proud to call their own. It will demonstrate their dedication to a sustainable way of living and serve as a place to educate both the youth of the surrounding towns and visitors to the community about ways that we must live to improve the well-being of our planet and the social fabric of our communities. The CLSC at Mastatal will serve the community in a variety of ways including as a library, an artisan center, a place to learn, and an inviting and gentle alternative place to meet. This center will be a destination for learning as there is not a “library” for miles (2 hours by car). Furthermore, the CLSC will make learning more palatable even for the telesecundaria (middle school) school children that are located right next door. The CLSC will be inclusive by nature, from the construction to the implementation, inviting women and children and people otherwise limited in the rural constructs of society. There are extremely few spaces where the women can work together and meet outside of the home. There are women in the community that have an entrepreneurial spirit and are interested in starting a women’s co-op. One vision for the CLSC is to serve the female population as a place for hope, collaboration and a place to make their educational and entrepreneurial dreams become a reality. The CLSC in Mastatal can be an important model for responsible community development. It is a model we need in a world of unchecked and reactionary growth. Costa Rica has experienced substantial economic and social expansion in comparison to the rest of Central America. They abandoned their military over fifty years ago, choosing instead to focus on education, nationwide electricity, public health, the establishment of a national park system, a conservation ethic, and a subsequent ecotourism industry. Tourism is one of the largest industries in Costa Rica with large amounts of money brought in to the country. One of the unfortunate results has been a shortsighted, irresponsible growth for the sake of quick money. Their social structure and world famous tropical forests are suffering as a result. MCF’s goal is to reduce Mastatal’s growing pains by supporting a conservation ethic and facilitating further education. The CLSC will cultivate creative ideas about how to grow as a community, how to do business, how to be healthy, and how to share, learn and hope while simultaneously creating a responsible development model for Costa Rica and possibly the developing world. Many communities and individuals have bitten at the opportunity to make easy money only to regret their decisions after fully realizing the impact that their choices have on family and community. Mastataleños are evaluating, assessing and moving forward. The CLSC will help make the path forward a smooth, healthy and scenic one. MCF can help consummate a beautiful vision about how a community may grow. The rest we leave to Luck and God. STEAM the Streets is a dynamic outreach initiative inspiring and activating underrepresented youth to pursue STEM / STEAM career pathways. Supporting the reestablishment of a fully canopied, poly-culture tropical rain forest on 8,000 hectares for carbon sequestration and sustainable living.